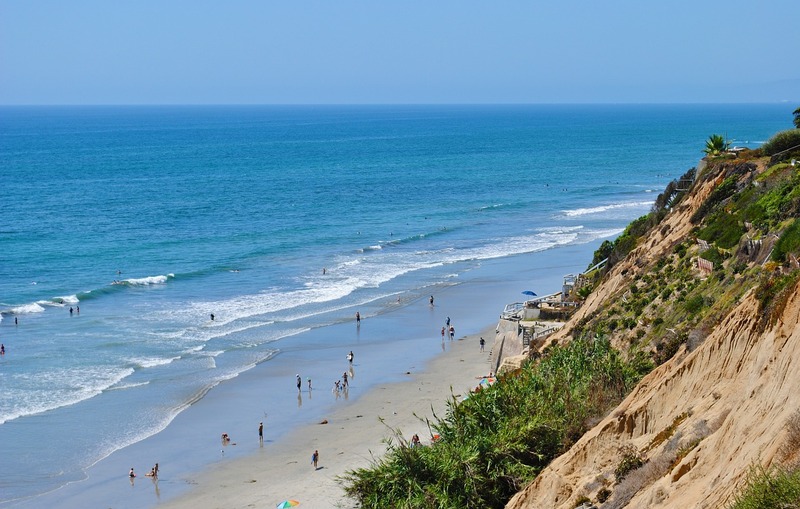 Want to experience Carlsbad on a budget? The seaside resort town of Carlsbad, Calif., is just 30 miles south of San Diego. This sunny, semi-arid city is the home of many great attractions, including LEGOLAND California, the Carlsbad State Beach, and numerous parks and museums. Read on to discover how you can have a blast on a budget in Carlsbad. Carlsbad is known for its affluence, but you don’t need to be rich to reap the benefits of this vacation destination. The fun is completely free at Carlsbad State Beach, where complimentary parking and downtown attractions are just a short walk away. Batiquitos Lagoon offers picturesque scenery along a lovely hiking trail. There’s also free admission at Leo Carrillo Ranch Historic Park, a history-rich national landmark featuring adobe buildings, old windmills, and other notable structures. 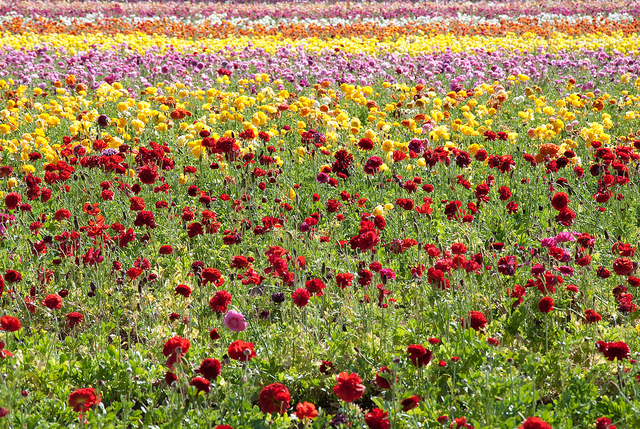 For an admission price of less than $13, you can enjoy other Carlsbad delights, such as the Museum of Making Music and the Carlsbad Flower Fields. The museum offers hands-on instrumental fun while the flower fields deliver 50 acres of breathtaking natural beauty to your eyes and nose. If you want to rest your feet for a while, you can buy a round-trip Coaster train ticket for $12 and kick back as you tour the seaside, or relax in a reclining leather seat at Cinepolis, the luxury cinema dinner theater where a full-service wait staff delivers your meal. LEGOLAND, though a slightly pricier destination, is a sizzling hot spot for families with children. Lego-themed rides and a water park are sure to entertain young and old alike. Tickets for age 13+ range between $85–$109. Tickets for ages 3–12 range between $75–$99. Note: Though prices fluctuate, rooms at LEGOLAND Hotel cost $400+ per night. For the best hotels at the cheapest prices in Carlsbad, see budget options below. Carlsbad by the Sea Resort. This three-star hotel offers rooms for $104/night and up. Best Western Oceanside Inn. This three-star hotel is actually in Oceanside, three miles from Carlsbad. Rates are $75/night and up. Econo Lodge Inn and Suites. This two-star hotel is three miles from LEGOLAND. Rates are $65/night and up. Ramada Carlsbad. This two-star hotel offers rooms for $64/night and up. Carlsbad offers plenty of flavorful dining experiences that won’t break your bank account. Enjoy American subs and sandwiches at Board and Brew or Johnny’s Rutherford Cafe. Sip on wine and enjoy a bowl of soup at RELM Wine Bistro. Partake of pizza and tapas at Sammy’s Woodfired Pizza and Grill, or indulge your seafood craving at Fish District, where gluten-free menu items are also available. You can buy groceries for picnics or your hotel room at Trader Joe’s, Albertsons, and Ralphs Grocery Company. For many visitors, Carlsbad is a welcome retreat from the bustling city life of California and the rest of the world. You can easily enjoy this town’s beauty and charm on a pauper’s budget.